A prototype of the tank M-84 was produced in 1983, and mass production of this tank began in 1984. 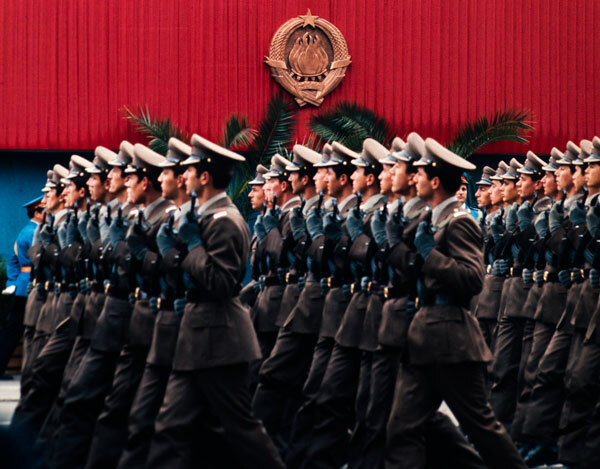 In the production of M-84 tanks took part in about 250 factories and 1,000 factories that are indirectly involved in the production of this tank. 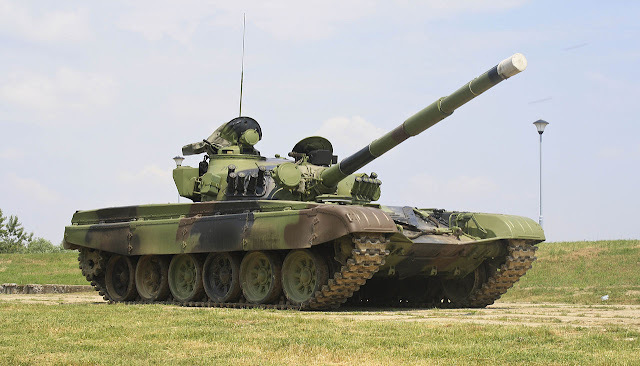 At the end of the 1980s in the Yugoslav military industry was launched a project for a new tank M-91st This tank was not a copy of the T-72 as the The M-84 tank than was project of Yugoslav weapons experts. After the breakup of Yugoslavia was interrupted production of tank M-91 and produced two copies of this tank. 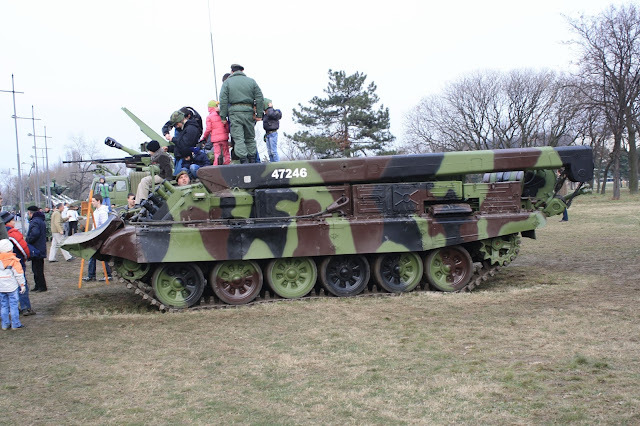 The Tank M-84 was armed with a 125 mm cannon 2A46 length of 6.25 meters, in the middle of the cannon is a gas chamber and the cannon was covered with thermal lining. The tank consists of 42 grenades. The tank was installed automatic gun with a firing speed of 8 shells per minute. 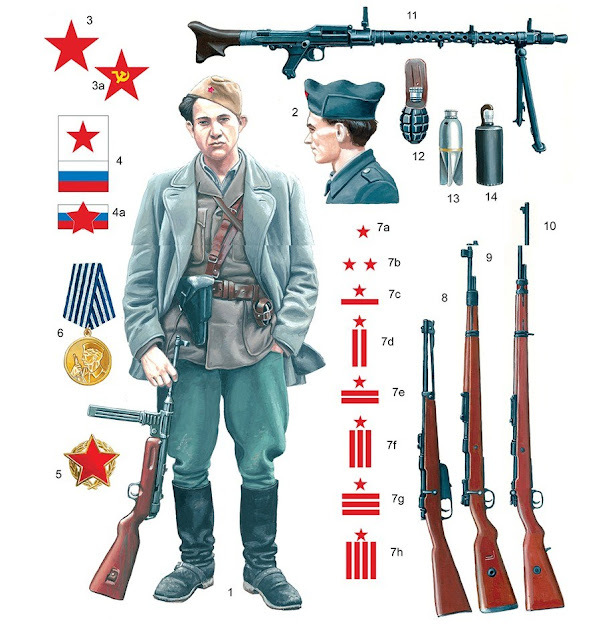 In addition to the cannon of a tank is armed with a machine gun 7.62 mm and antiaircraft machine gun 12.7 mm. 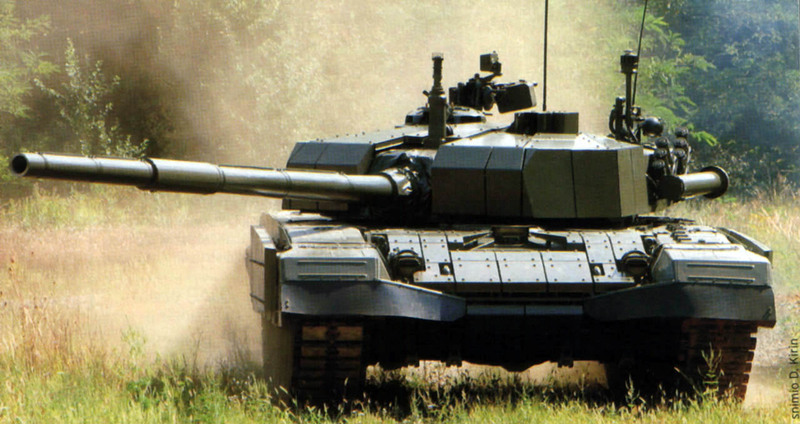 The tank has 12 launchers of smoke from the front of the tank dome and IR beacon. The M-84 has a very similar armor as well as a T-72nd Multilayer armor consists of steel, aluminum, titanium and other materials. This armor can still set up an explosive-reactive armor. The main The M-84 were equipped with 12-cylinder water-cooled V46-6 diesel engine, power 574 kW. The improved The M-84A has a more modern and more powerful V46-TK 735 kW (1,000 hp) engine. 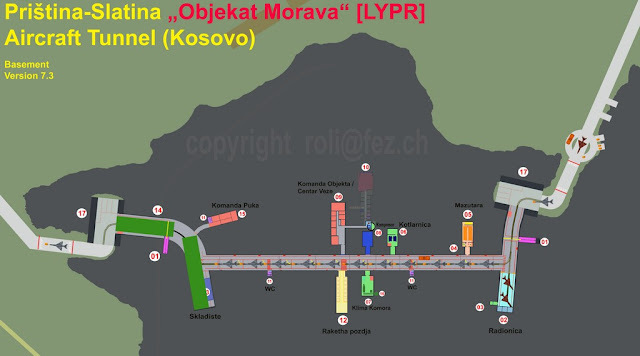 The maximum storage capacity was 1,200 liters with which can exceed 450 km, and with additional tanks 650 km. streamlined SUP, which includes DNNS-2 day / night auditor, stabilized cannon in two planes and laser rangefinder. It also has a TNP-160 periscope, TNP-65 extra periscope, DNKS-2 day / night auditor for commanders and T n PO-168V driver's periscope. The M-84AB has a new communications system. 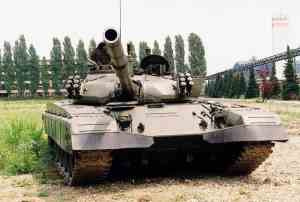 About 150 of these tanks used by the army of Kuwait where they took part in the Gulf War. Version The M-84AB with a navigation system. Version The M-84AB equipped with a navigation system, a system for many types of communication. Armored vehicle for repairs. 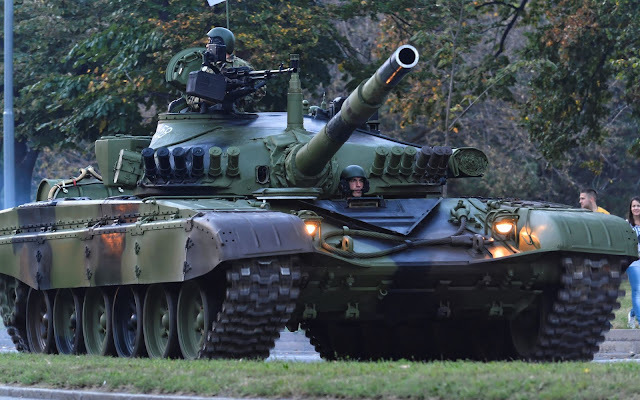 During the 1990s, Kuwait wanted to buy a larger number of armored vehicles for repairs based on the body of the tank The M-84th That is why Yugoslavia very quickly concluded a cooperation agreement with Poland and made was a vehicle that is based on the body of M-84 tanks and parts that have been downloaded from the Polish WTZ-3 vehicles. The vehicle was armed with 12.7 mm machine gun and has a hydraulic crane. Croatian version of the tank with better SUP and German diesel engines with 1100 hp. 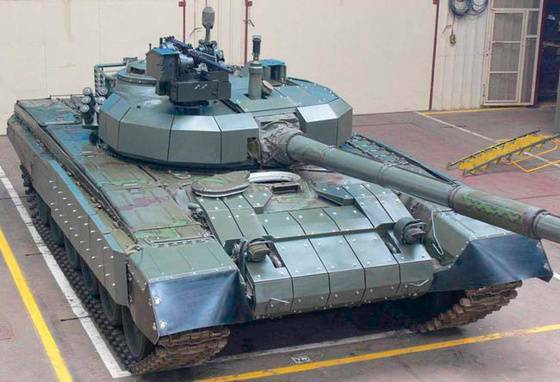 Croatian prototype tank with a new dome with reactive armor. The enhanced version of the tank with reactive armor and other improvements to the tank. The M-84AB1 (M-84As) Serbian version of a tank with improved SUP with integrated day-night sighting device. The current cannon has been replaced by a new one that has the ability to launch anti-tank rockets. The tank has a reactive armor. 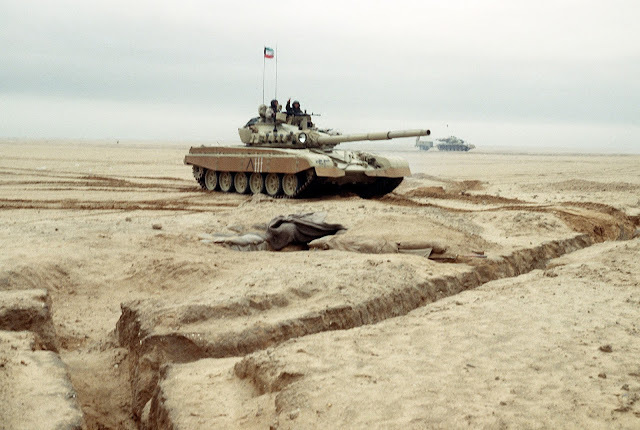 A few months before the Gulf War Kuwait bought from Yugoslavia 170 The M-84AB, 15 The M-84AB1, 15 The M-84ABK tanks. 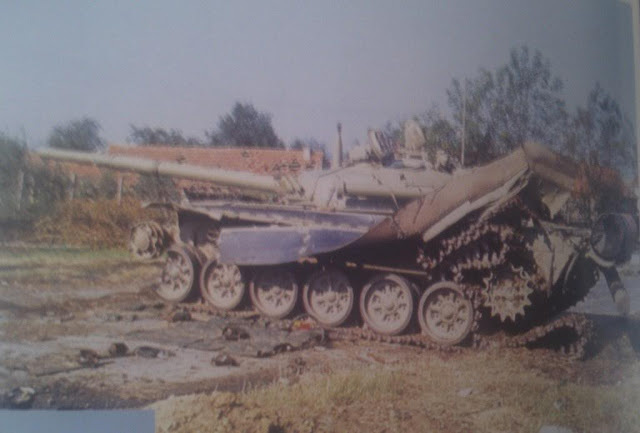 The M-84 tanks were successfully used against Iraqi T-55 and T-62 tanks. 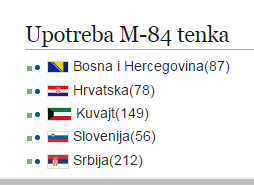 During the ten-day war in Slovenia, the JNA used the M-84 tanks which were withdrawn after the conflict in Croatia and Serbia, from where is planned the attack on Croatia. 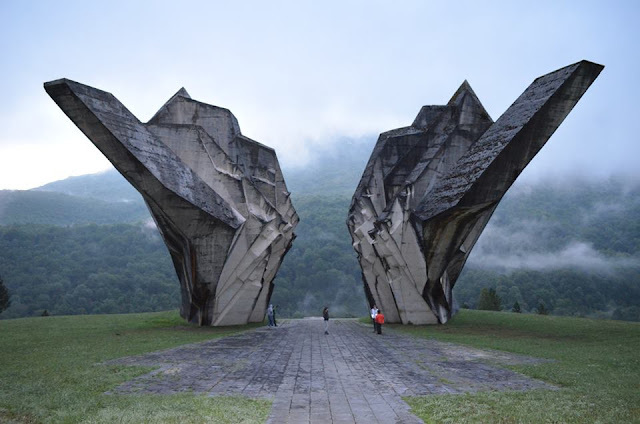 Slovenian TO kidnapped several The M-84 tanks of the JNA. 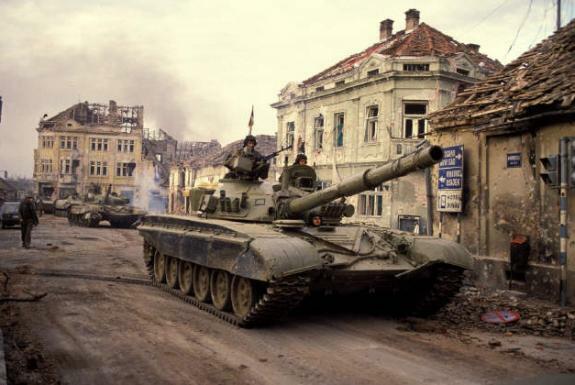 The M-84 tanks used by the Yugoslav army in the Battle of Vukovar. 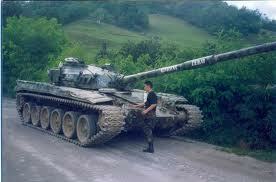 Croatian army took about 50 The M-84 tanks of the JNA during the Battle of the military barracks. 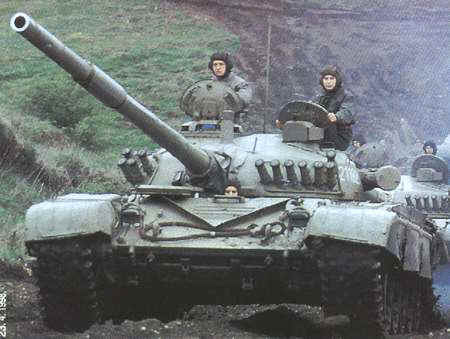 In the war in Bosnia and Herzegovina is the most used tank T-55th VRS during the war used the approximately one hundred M-84 tanks and the Army of Bosnia and Herzegovina at the end of the war had only three tanks (2 M-84 tank had the 2nd Corps of the Army of Bosnia and Herzegovina, and one M-84 tank 5th Corps). 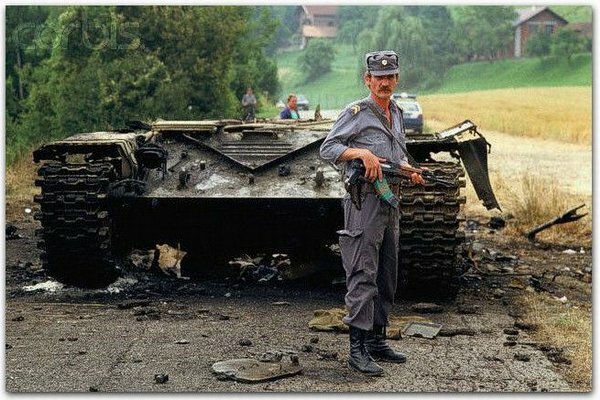 During the war in Kosovo, the Serbian army has used tanks, M-84 and T-55th NATO claimed to have destroyed 300 Serbian tanks which would be about 30% of all Serbian tank forces, but in fact they withdrew after the arrival of peacekeeping forces. Later on established that the NATO air strikes destroyed only 14 tanks of which 9 M-84 and 5 T-55 tanks.